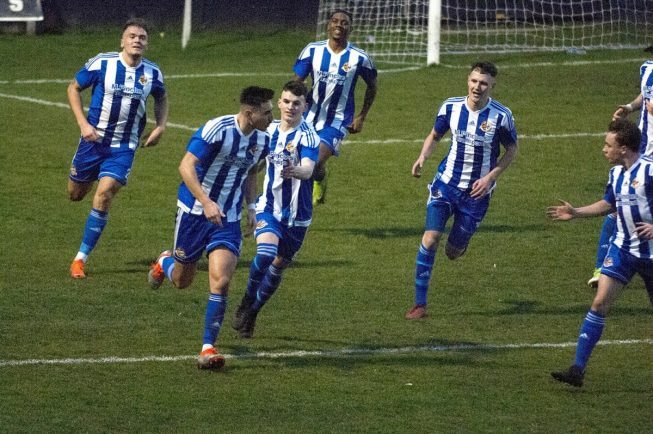 WORCESTER-based Harry Clark has become the latest new face at City as the Blue and Whites prepare to tackle South Normanton Athletic in a Midland Premier Division clash this afternoon. The Derbyshire outfit come to the Victoria Ground on Saturday (kick-off 3pm) as City bid to close the 17-point gap to leaders Ilkeston Town. City have three games in hand and meet the leaders next Saturday (January 26) in a clash which could prove pivotal in the Blue and Whites’ attempt to mount a late-season charge up the table. John Snape’s men got into the game boosted by Tuesday night’s 5-0 victory over Studley in the MFL Cup third round and have welcomed the arrival of 21-year-old Clark. The talented winger has started 22 games for Malvern Town, grabbing 12 goals and numerous assists, and arrives as Mason Birch departs City for an opportunity to play in Spain. City go into Saturday’s clash on the back of a battling 1-1 draw with second-place visitors Walsall Wood last weekend. The Wood enjoyed much the better of the first half and led at the break after a Javia Roberts cross was steered home by former Plymouth and Wolves hitman Sylvan Ebanks-Blake at the far post. After a change of shape, City came more into the game in the second half and George Forsyth notched a stunning equaliser after firing into the top corner from 18 yards after good work in the box from Tom Fishwick. City have marked 60 years since the club beat then-Second Division Liverpool in the FA Cup third round. Having beaten Brierley Hill in the fourth qualifying round, Chelmsford City in the first round and Millwall in the second round, high-flying Liverpool were drawn to visit St George’s Lane. The initial game, set for Saturday January 10 1959, was postponed due to cold weather and then played on January 15 when City, then in the Southern League, beat the Reds 2-1 in front of a 15,111 crowd. Visit www.worcestercityfc.org for a video of fans’ memories from the day.